I talked a little about this book in my first post. Pressfield's idea of 'resistance' is a force that stops someone pursuing their true calling. In other words, your arch-nemesis - the force that ensures you don't live up to your potential, leading to 'a life unlived'. For my entire adult life I have been battling an enemy, and it wasn’t until I read this book that I knew it or could give it a name. This book is an essential read for anyone who has a calling or vocation in life that they feel they are not yet living or have talked themselves out of. 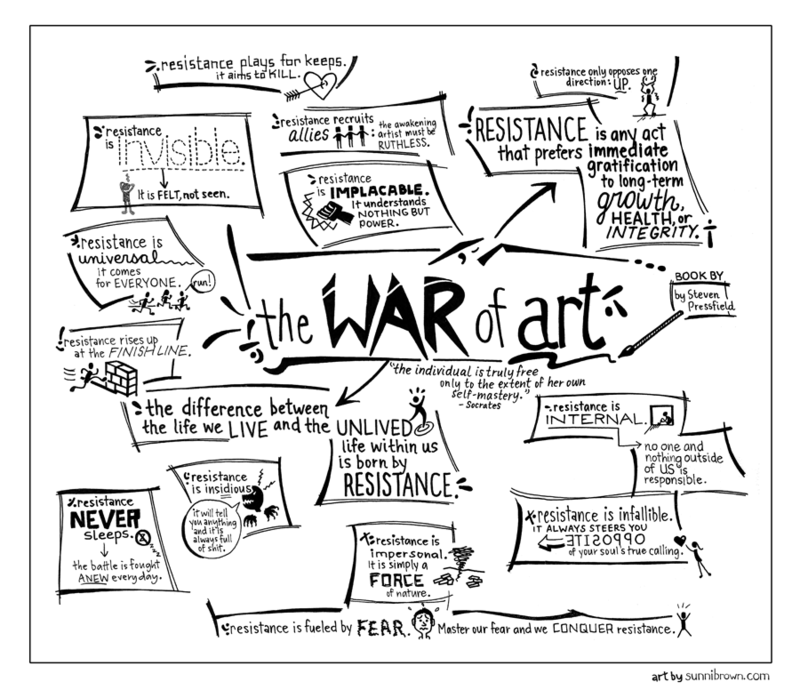 identifies & describes the characteristics of resistance. talks about turning ‘Pro’ i.e. how to beat it. I'm not going to go into too much detail; if I did then that would essentially be a form of resistance because I should be creating artwork right now! All I can say is that if there is a part of you that once dreamt of being an artist, a writer, a poet, an actor and entrepreneur of any kind but didn’t quite make it, then there are far worse things you could do than buy the book. I downloaded the audio book too (it’s great for having on in the car or when you are tidying (which ironically can often a form of resistance!). ← Are you new here? Can I show you around?